Don't let your love of the barbell lead you to forget about single-limb training! Training one side at a time will improve your form, destroy your midsection, and make you stronger at the big lifts, too. Do your goals for this year include building a stronger body, more symmetrical physique, and a rock-solid core while you&apos;re at it? A heavy barbell may be your best friend in your quest, but it&apos;s by no means your only friend. Whatever objective you&apos;re training for, unilateral training—training one arm or leg at a time with a dumbbell, kettlebell, or machine—will help you achieve it. Twinlab Muscle Militia generals Jason Wheat, Ronnie Milo, and Chris Thompson all turn to unilateral training to upgrade their musculature and avoid building physiques that slump to one side like melting clocks in a Dali painting. You might already employ unilateral training by alternating dumbbell curls. This type of training is even more important for larger muscle groups like the chest, quads, and hammies. "Unilateral training isn&apos;t something people should just consider," Thompson says. "It&apos;s something they absolutely must be doing if they want to get the most out of their training." You&apos;ve got your marching orders! Here are four huge benefits you&apos;ll get out of adding unilateral exercises to your training regimen, plus a full-body workout to help you reach your next level of greatness. Experienced lifters know that focusing mentally on the muscle being trained drives deeper contractions, better form, and more growth. However, it can be challenging to maintain that sensation when you&apos;re rolling big plates on the barbell and struggling just to push through reps of the deadlift, squat, and bench. That&apos;s why it&apos;s essential to support your heavy bilateral work with supplemental single-limb work. "It&apos;s much easier to focus on just one side and build that mind-muscle connection. Then you can apply that when you go back to bilateral movements with bigger weights." "Unilateral lifts that work the same muscles [as the big lifts] give you a great way to focus on the mind-muscle connection and really feel the contraction you&apos;re after," explains Thompson. "It&apos;s much easier to focus on just one side and build that mind-muscle connection. Then you can apply that when you go back to bilateral movements with bigger weights." Use single-leg bridges, single-leg deadlifts, single-leg hamstring curls, and single-leg good mornings to boost your deadlift. Complement your squats with single-leg squats, single-leg presses, single-leg calf raises, and lunges in every direction. Get creative and apply the same concept to your upper-body training, too. There&apos;s nothing more satisfying than slapping a stack of 45-pound plates on a bar, getting underneath it, and pushing so hard you almost black out. But to find your edge safely in the barbell bench and squat, you need trusted battle buddies with you in the gym who know you and your lifting style. A good spotter knows when to push you and when to save you from a lift that&apos;s going south fast. Unilateral training gives you a different and safer way to take yourself to failure when you don&apos;t have the luxury of someone to spot you. You&apos;ll use lower loads with one-sided movements that allow you to dig deep into your soul and rip out the extra few reps that can make the difference between new growth and the same old results. Ditching weight is easier and safer when all you have to do is drop a dumbbell or step out of a machine. Whether you strive to earn a bodybuilding pro card or just want to look your best, you have to develop a physique that&apos;s balanced front to back, top to bottom, and side to side. This isn&apos;t just a question of aesthetics, either. It&apos;s a telltale sign of a mature overall approach to training. "A solid training program keeps everything in balance," says Thompson. "Whether it&apos;s balance in your diet, balance between weight training and cardio, or balance between one side of your body and the other, you have to strive for overall balance." 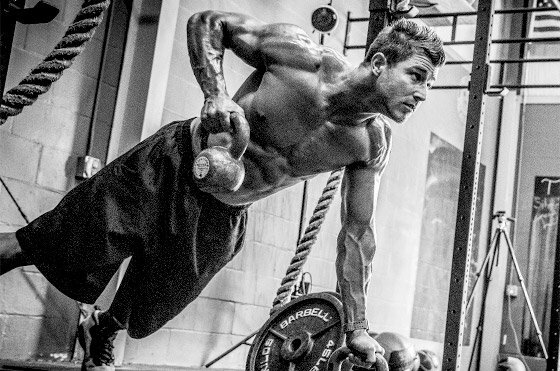 There isn&apos;t a better way to target a lagging side or muscle group than unilateral training. Lifting big weights helps you get the size and power you want, but unilateral training provides the polish to shine up the details of your build. That&apos;s why Milo places an emphasis on unilateral training in almost every session in the gym. "I live and die by unilateral training. I&apos;ll do each side separately so I get the growth that I need, where I need it," he says. But he cautions beginners and experts alike to be mindful of how they move when they&apos;re hitting up one side. "The biggest mistake I see when people use unilateral training is sacrificing form to move more weight," Milo explains. "You have to concentrate on form and maximum muscle recruitment for the deepest possible contraction to stimulate growth and detail." Think you know every possible way to torture your core? If you&apos;re not bringing unilateral training into the mix, you&apos;re missing out on one of the very best ways to light up your midsection. "You&apos;ll be surprised how hard your body has to work to stabilize your core and resist rotating when you&apos;re doing one-sided movements," says Wheat. "You generate huge tension and get your core burning while you&apos;re training another part of your body." Want to see what he means? Pick up a single dumbbell that&apos;s moderately challenging and squeeze your glutes, abs, and even your legs as hard as possible to stabilize your body while you push that dumbbell overhead. When you&apos;re done with that, lie down on a bench, or even just the floor, and pound out single-arm dumbbell bench presses applying the same tension. You&apos;ll quickly understand why people consider these to be full-body lifts! The benefits aren&apos;t just limited to upper-body unilateral exercises, either. "If you&apos;re doing one-legged squats, leg presses, leg curls, or leg extensions, you have to use a lot of stabilizing muscles you don&apos;t normally use," explains Wheat. "Your abs, hip flexors, and other stabilizing muscles are under much greater stress when you train your body one side at a time." "You&apos;ll be surprised how hard your body has to work to stabilize your core and resist rotating when you&apos;re doing one-sided movements. You generate huge tension and get your core burning while you&apos;re training another part of your body." 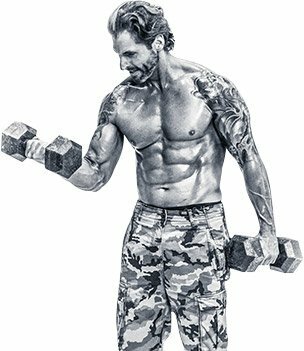 Lock and load the following workout, and get ready for a single-barreled blast into a new dimension of total-body training. You&apos;ll combine bilateral strength work and unilateral detail work in a grueling circuit in the same spirit as the Muscle Militia 30-Minute Workout. You&apos;ll almost surely be sore the next day, but take comfort in the knowledge that you&apos;re building functional strength that will support everything you do in—and outside—the gym. Perform the following circuit twice with as little rest as possible between movements. This Twinlab Muscle Militia workout may only last 30 minutes, but it&apos;s a full-body bomb that will challenge each of your major muscle groups to grow. Give it a shot today! Elite strength athletes and amateurs alike know that their training will only go as far as the food that fuels it. Build your nutritional strategy around these four rules and you can&apos;t fail!